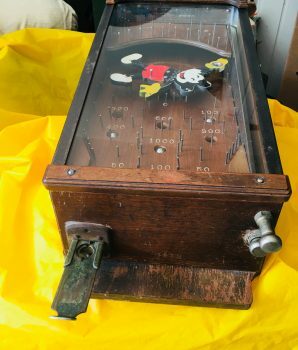 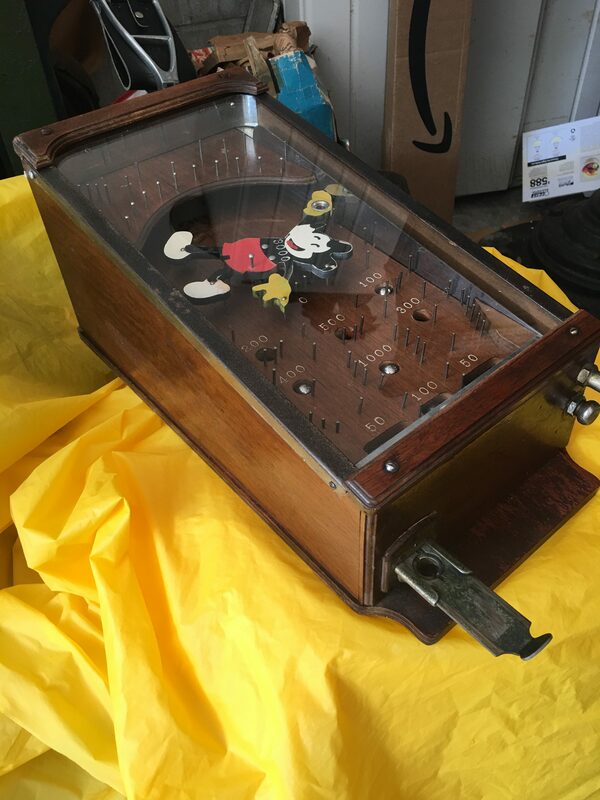 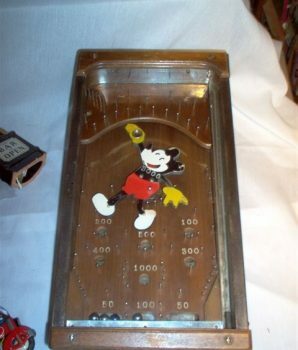 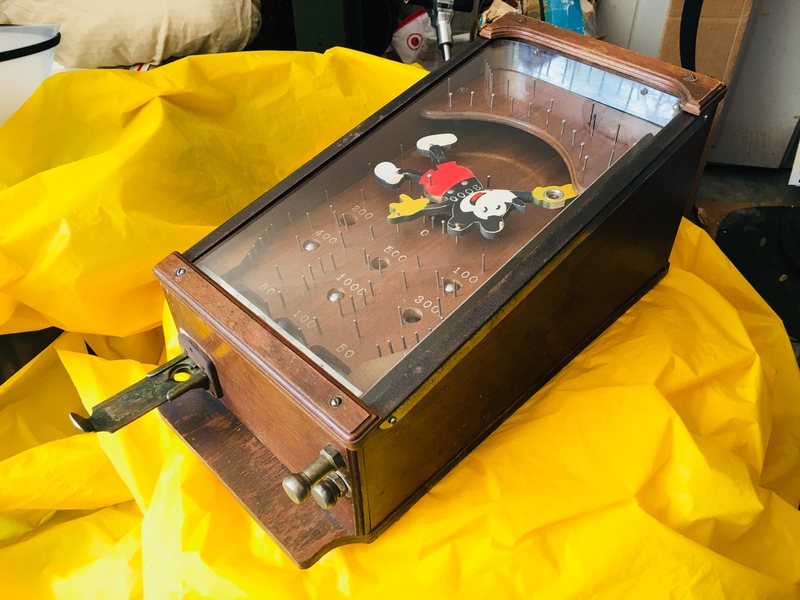 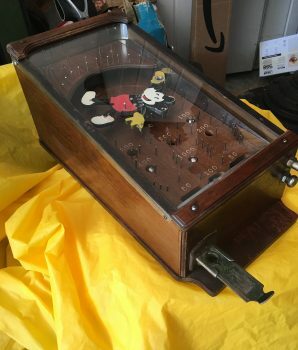 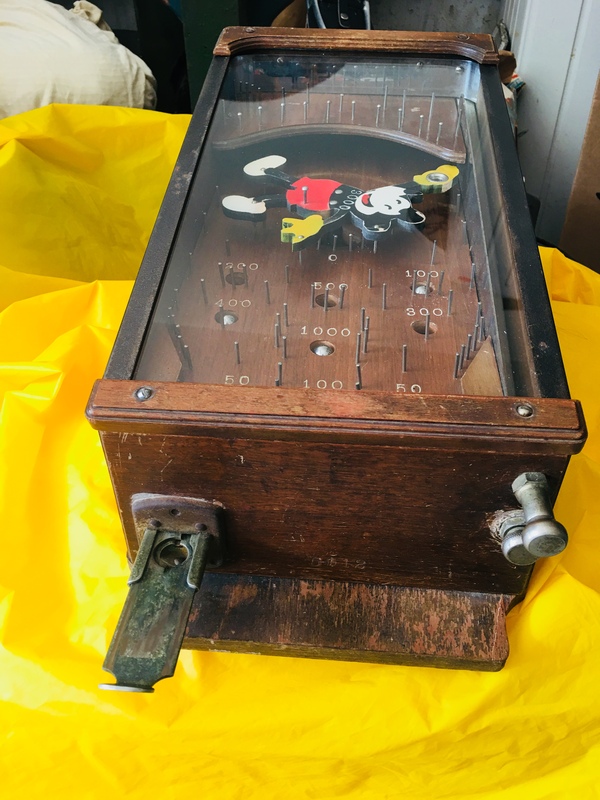 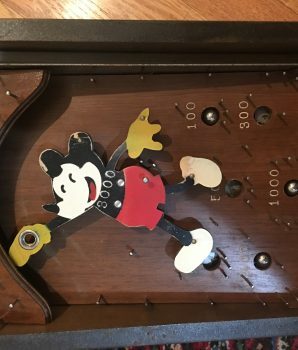 Salesman Sample Model Mickey Mouse e 1930’s counter top mickey mouse pinball machine, Plays and works good. 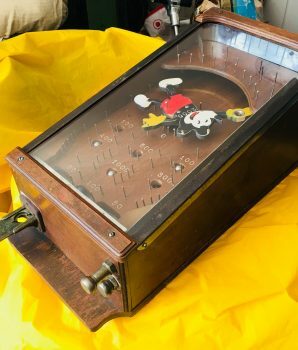 This is a salesman model and not a commercial table top pinball must loosen bottom screws of wood case for coins. 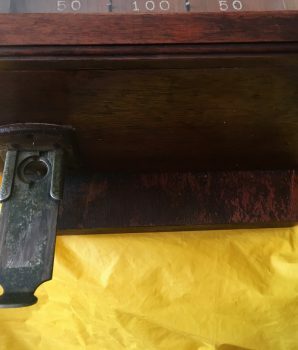 No lock or key entry to obtain the money for salesman sample model. 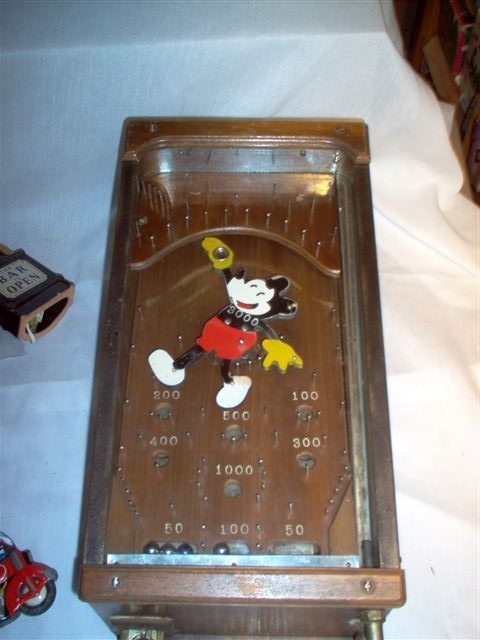 The play field is under glass and in excellent condition. 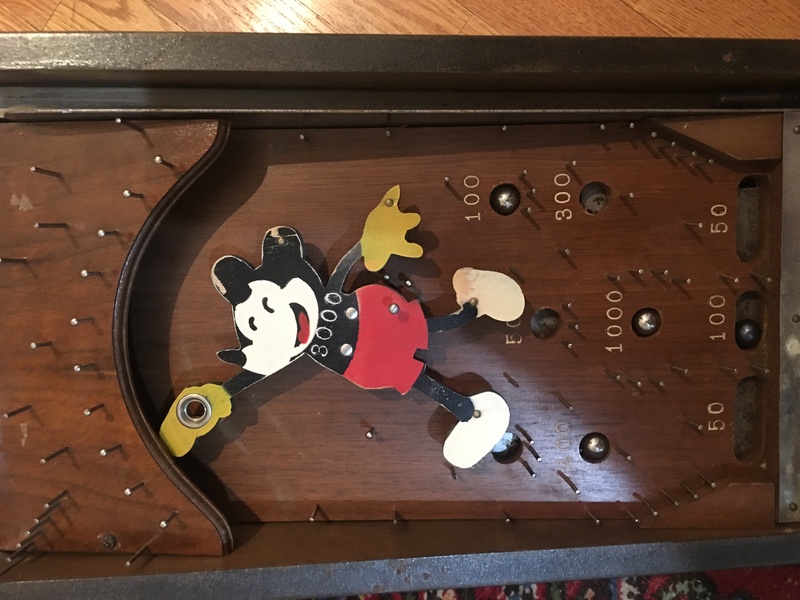 Quality built with many fine details and not a toy. 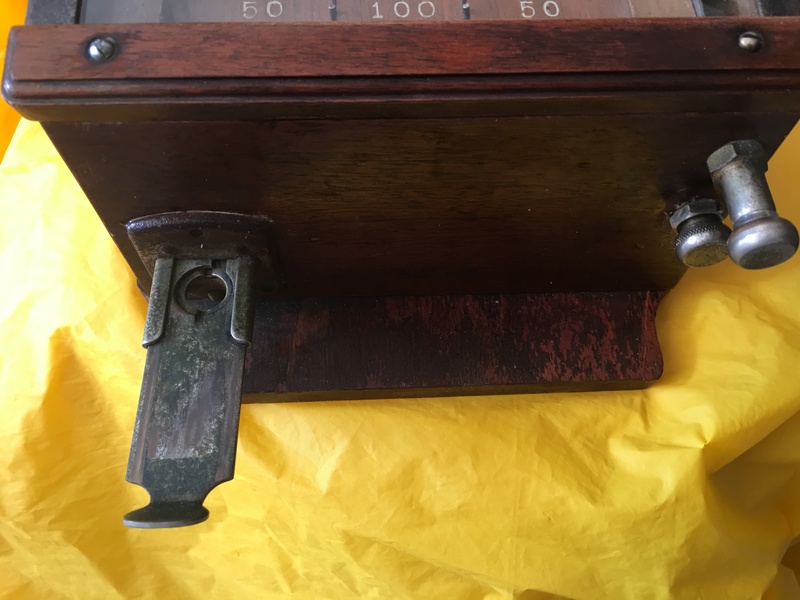 no plastic used only metal and hard wood. 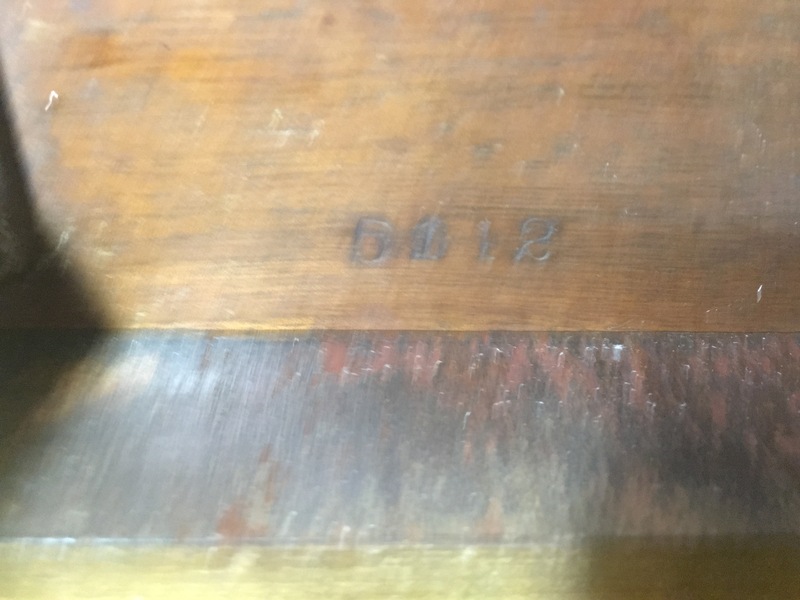 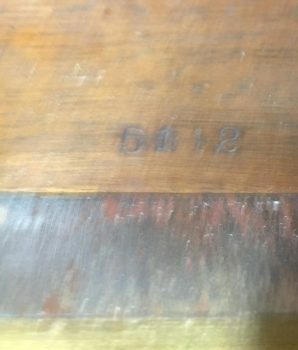 Has number 5112; Size: 17 i” long x 9″ w x 5″ h at front.Very Rare.